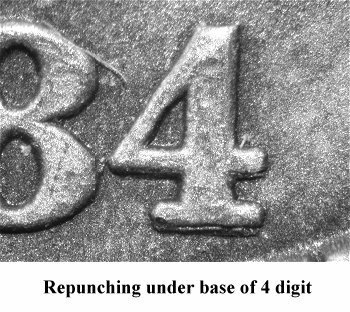 Comments: The author originally discovered the repunching on the 4 digit in 1990. 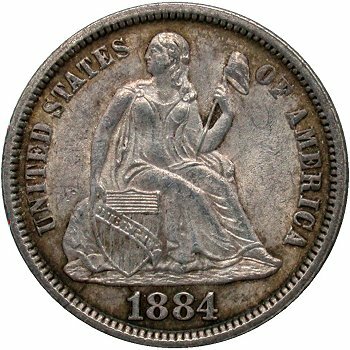 During that time, the discovery coin was a reasonable EF45 example. 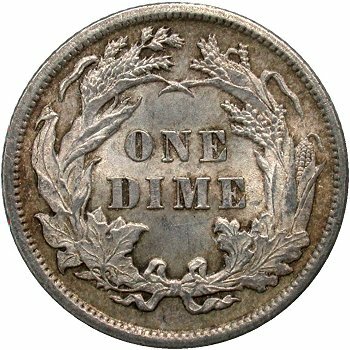 Over the past years, a Mint State example was found as an upgrade. 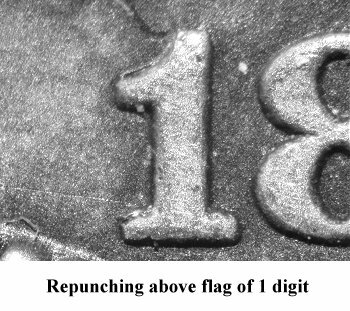 Close examination of this piece also revealed minor repunching on top of the flag of the 1 digit. 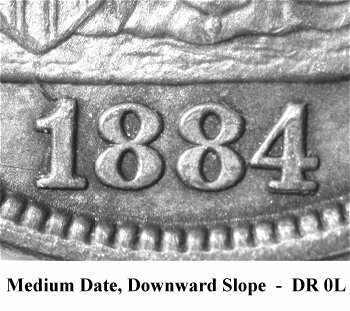 The date slopes down on this variety. This is a fairly common variety that can be located with some searching.